Actually, the Galaxy S smartphones are among the phones that sell best in Samsung in the premium sector. High-end hardware, great features and a spectacular look. Not so this year the Galaxy S9. Samsung noticed early that the small upgrade compared to the Galaxy S8 is not as good as expected. You just can not see that this is a new phone, many customers have indicated. Too little are the technical changes, others thought. The attraction to buy is missing, if you see how cheap the Galaxy S8 has become meanwhile * . 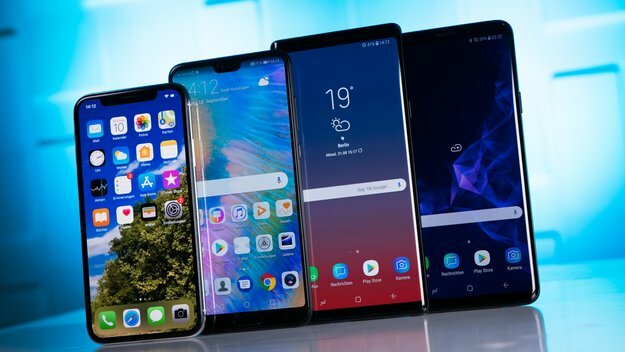 Since it takes more to the last generation – or the Samsung Galaxy Note 9 , if you want to have a much better smartphone. And that’s exactly what happens in South Korea, Samsung’s home market. The Samsung Galaxy Note 9 could be sold there a million times faster than the Galaxy S9 was the case. The million was reached in 54 days. The Galaxy S9 and S9 Plus took 60 days. The Note 9 has in comparison to the predecessor but also many improvements. Significantly larger battery, more memory and memory, larger display, KI dual camera and the S Pen, which is now connected via Bluetooth. All this ensures that the 1,000-euro smartphone arrives really well and has performed excellently in our test . Of course Samsung is aware of this fact and wants to once again build a smartphone with the Galaxy S10 that should blow away. In the rumor mill is an almost borderless design, fingerprint sensor in the display, triple or quad camera and even better performance and battery life talk. At least sounds very promising.